34 published items with the word (s) or phrase Kid in News, Trends, Videos, Photo galleries, Agenda and sorted by "date descending". Alessandro Dell’Acqua’s label is going places, and after opening a major showroom in Milan, it has struck a deal with Brave Kid (OTB) for its childrenswear line, previously made by Grant. Got to hand it to Thom Browne, he never runs out of news ways of using the gray flannel suit – the heart of his WASP DNA. London’s main fashion tradeshow Pure London is expanding further with the launch of Pure Kid, a new edited curation of kid’s fashion, footwear, accessories and maternity collections. OTB, the holding company of Italian fashion billionaire Renzo Rosso, quadrupled its Earnings Before Interest and Tax (EBIT) to €21.5 million in 2017. Though total group revenue slid 2.4 percent over the same 12 months. It felt like a great road movie at Isabel Marant this season, a trip around the great American Southwest, cool cowboy style meeting French self-confidence. Renzo Rosso's fashion group has promoted the successor of CEO Riccardo Stilli from its ranks, appointing Ubaldo Minelli, until now in charge of Staff International and Marni. The new label from cousins Shai and David Peyser partnered with NBALab to launch outerwear pieces that feature LeBron James and Stephen Curry. The collection is available now at 11 Barneys stores. ​ Giorgio Armani may be well into his eighties, but he is still thinking out of the box. Armani is still the master Italian tailor, yet he injected all sorts of new life into his signature collection. ...Les nouvelles collaborations d'A.P.C. ont été présentées lors du dernier défilé automne-hiver 19 : après Kid Kudi, place aux visions de la styliste Suzanne Koller et de la marque californienne Brain Dead. ...via son fondateur, Jean Touitou, signe un projet baptisé « Interaction » et fait appel à une autre pointure du milieu, Kid Cudi. ...En janvier 2018, le salon de mode enfantine Kid était mis en pause afin d'être repensé. Le 26 janvier démarrera donc la Kid Week, un parcours à travers des showrooms de marques installés dans le Marais. ...qu’elle vient d’ouvrir un grand showroom à Milan, la marque d’Alessandro Dell’Acqua annonce un partenariat avec Brave Kid (OTB) pour sa ligne enfant, qui était réalisée auparavant par Grant. ...Strauss & Co. Europe Levi’s Kids est présent via 3 000 points de vente. La France, qui pèse 35 % des ventes de Levi's Kid sur le marché européen, est ainsi le pays européen le plus important de la marque. ...expansión, cuando acaba de abrir un gran showroom en Milán, la marca de Alessandro Dell'Acqua anuncia una asociación con Brave Kid (OTB) para su línea infantil, que fue realizada anteriormente por Grant. ...selecto grupo de embajadoras de Coach, el cual ha incluido también a Gwenyth Paltrow, Chloe Grace Moretz , Karlie Kloss y Kid Cudi. ...La línea infantil de la marca italiana será producida y distribuida por Brave Kid, la empresa especialista de la industria infantil del grupo OTB de Renzo Rosso. ...l'abbigliamento invernale e, soprattutto, grazie al capo cult “Winter Storm”, lanciato a Pitti Bimbo 86 nella versione “Kid”. ...магазинов Samsung; 87 сертифицированныхмагазинов Lego, 17 салонов Sony Centre, 23 фирменных магазинов Nike, 6 магазинов kid rocks, 5 магазинов Unode50, 21 магазина Street Beat, 4 магазинов Rookie и 2 магазинов Leap. ...ведущих производителей компьютеров‚ телефонов‚ электроники, детских и спортивных товаров, среди которых Nike, Rookie, Kid rocks, Uno de 50. ...В минувшем году розничная группа‚ объединяющая такие сети специализированных магазинов, как Nike, Kid rocks, Uno de 50, Steet Beat и другие, открыла 39 новых магазинов. ...дистрибуции линии Trussardi Junior, итальянская Trussardi Group подписала новое лицензионное соглашение с компанией Brave Kid (группа OTB Ренцо Россо). ...Inventive Retail Group объявляет о ребрендинге сети магазинов Prenatal Milano. Новая сеть мультибрендов получила название Kid rocks. ...de moda em 2011), Chloe Grace Moretz (sendo substituída por Gomez), Karlie Kloss (que trabalhou com a casa em 2013) e Kid Cudi (que estrelou a campanha 'Dreams' da Coach em 2015). ...Aliar brincadeira entre pais e filhos e peças de roupa. Esse foi o norte para a elaboração das camisetas da Bky Kid. 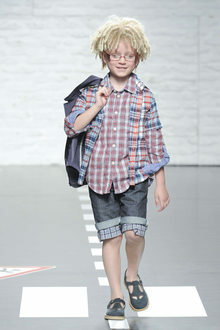 ...Alessandro Dell’Acqua’s label is going places, and after opening a major showroom in Milan, it has struck a deal with Brave Kid (OTB) for its childrenswear line, previously made by Grant. As a preview, the Carlin Group reveals it’s ceremony positions for Kids for summer 17.